Smartwatches can keep you motivated and improve your health and fitness with their variety of functions. After a long day at work, the last thing most people want to do is throw some weights around at the gym. Motivation, after all, is an elusive and slippery beast to hold on to (and find in the first place). It makes sense that if we can’t rely on our own internal mechanisms to help us commit to a workout routine, we should then seek external ones that might do just that. In the context of this particular article, these external influencers come in the form of technology, or to be more specific, smartwatches. But how can a smartwatch help improve your health and fitness? If you’ve ever used an app on your smartphone, you know how helpful they can be when it comes to providing statistics about how active you are during the day, your sleep habits and other health functions. At its most basic level, a smartwatch is just an extension of an app, and can provide the same functionality. Like a smartphone, there are also tons of different smartwatches to choose from when it comes to buying one, like the Apple Watch or Tag Heuer Connected. Of course, there are still a lot of good mechanical sports watches available if you’re not ready to make the leap to a smartwatch. For example, IWC models are easily enough found if you prefer an old-school feel. 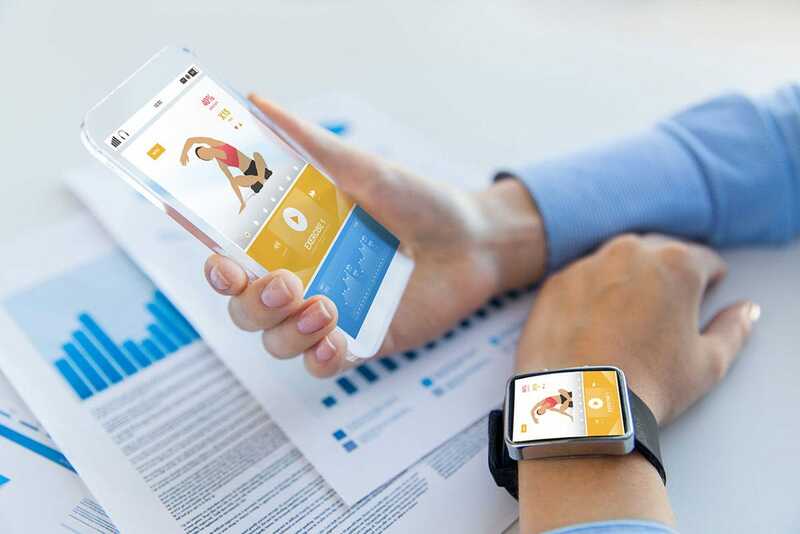 However, if you’re ready to embrace smartwatch technology and get your hands on one, how can you expect them to improve your health and fitness? One way to ensure that you’re remaining active is to walk a lot. Most smartwatches have built-in pedometers that can count your steps, allowing you to track your progress. While the number of steps you’re meant to take to stay physically active differs from person to person depending on your goals, a good starting point is around 10,000. Tracking your heart rate is important to know how much you’re exerting yourself during exercise. And since you’re wearing your smartwatch the entire day, it can also track your resting heart rate. This is important for determining the health of your heart. Sometimes we just need that extra nudge to get us off the couch and to the gym. And the workout reminders that a smartwatch can provide do exactly that. This will help your workout routine become a habit, especially since you’re being reminded to exercise directly from your wrist. And it makes it harder to dismiss and ignore it than a smartphone. When you’re trying to lose weight every calorie counts. And having a smartwatch you’ll definitely ease your weight loss process. A smartwatch will automatically calculate how many calories you’ve burnt during the day. So at the end of the day you’ll know if your calorie deficit is as you want it to be. Having a restful sleep after a tough workout is mandatory. And the best way to track your sleeping hours is with a smartwatch. Just touch a button in the morning and your sleeping data is automatically displayed in charts and graphs for you. Also, if you’re not sleeping alone, you don’t have to worry about waking up somebody in the morning with your alarm. Your smartwatch can wake you up with just a wrist vibration. Hopefully these smartwatches health benefits will make you reconsider their functionality. They’re really helpful wether you’re trying to lose weight, track your health or just extend your smartphone’s applications.